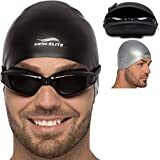 Do you tired of Uncomfortable and Poor Fitting Swim Caps? Do you struggling with long hair drag and snagging when putting on your swimming cap? Are you still angry about the inferior tear swim cap? 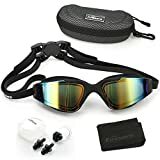 Premium waterproof silicone swim cap from professional swimming equipment manufacturer – PHELRENA Who know you more!!! ❶Premium quality silicone，non-toxic，allergy free, odor free, headache free, skin friendly, and eco friendly. ❷Tear resistant elastic material, make this swimming cap not easy to deform, tear suitable for most people. 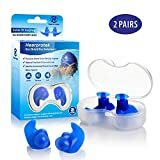 ❸3D Ergonomic Design with Ear Protection to prevent the swimmer’s ear infection and bring swimmers the best swimming experience. ❹The design of large swim cap space, can accommodate a head full of long hair or curly hair. Thicker edge design more waterproof and Quick drying. ❺Wearing simple and comfortable, widely used, suitable for the vast majority of people. Lifetime Warranty and Customer Care While it’s impossible to guarantee every product to be perfect, but If you have any smarter ideas about our swim cap, please share in Q&A or REVIEW or contact us by email. We will respond positively, because we treature every customer very much! THE BEST QUALITY IMPORTED MATERIAL – This swimming cap is made of 100% high quality non-toxic silicone that is highly flexible and extremely resistant, it is super non-slip and water-tight. The swimming cap has been continuously testing by professional swimming trainer. Lightweight, latex-free silicone provides durable performance and optimum fit.Compared with latex, it is not only non-toxic and tasteless, but also friendly to the skin. ERGONOMIC BEST DESIGN – A streamlined design is to enhance water flow speed, eliminate the resistance, performance optimization. A streamlined design is to enhance water flow speed, eliminate the resistance, performance optimization. This design of swim cap can be TIGHTLY WRAPPED in your head BUT NO PRESSURE, greatly expanded your head space. This easy on-and-off design won’t snag hair. 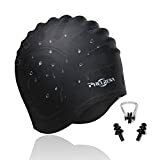 UNIQUE FEATURES OF THE SWIMMING CAP – The PHELRENA swimming cap, lightweight, good elasticity, easy stretch, no deformation. 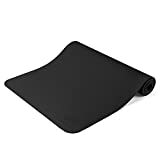 It can stretches perfectly, Waterproof,doesn’t tear, and has a high wear resistance.Suitable for all swimmers no matter you are adults, kids, women, men, boys, girls and you don’t need to worry about long hair or short hair. WIDELY USED & COMPLETE ACCESSORIES – The swimming cap is often used in outdoor sports or a top professional game. In particular, freestyle, synchronized swimming, water polo, and even water Iron Triathlon. The swim cap comes packaged in bag. Package also includes 1 nose clip and 2 ear plugs. RECOGNIZE THE BRAND, LIFELONG WARRANTY – Please recognize our brand name”PHELRENA”, we did not authorize any stores to sell our items. Your shopping experience is the driving force of our do better products. if our products bring your any trouble, please contact with us for free, we offer you a 90-DAY 100% MONEY BACK GUARANTEE.